We were up before sunrise on Day 2 in Auckland and luckily our host Tanah stocked our kitchenette with homemade yogurt, granola, manuka honey and coffee. For reference, we're 17 hours ahead our friends back in NYC. The weather seems to be pretty consistent so far: cloudy and mid-50s (F) in the morning and a sunny mid-60s by lunchtime. The local news channel also informed us that there was a nationwide earthquake drill, but we didn't actually witness anyone practicing. The city has an interesting range of residential architecture, often set on jutting hills and reminds us mainly of San Francisco. 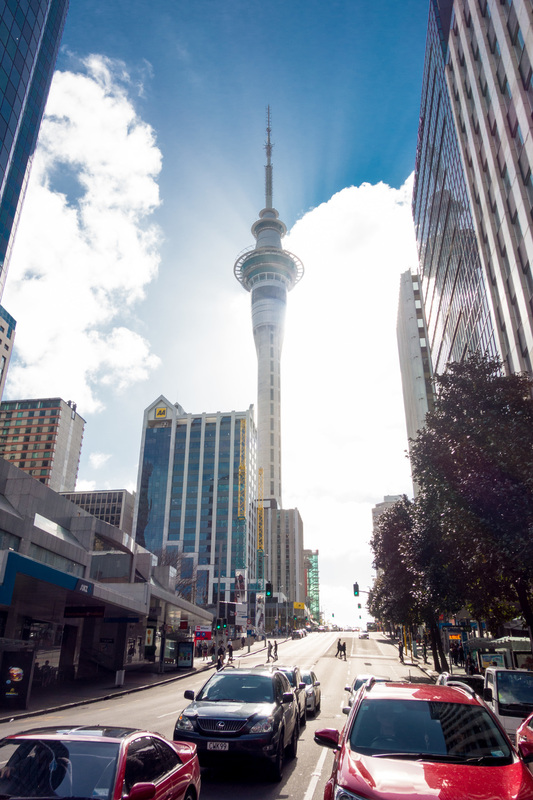 We started with Ponsonby Street which is dotted with restaurants of all stars and niche shops. We passed an Asian-focused international food court, noting that we must return, and headed towards the waterfront on a tree-canopied street lined with a mix of cottages with Victorian woodworking, high-walled homes you cannot see, and small condos. To get to the water, we walked through Victoria Park, which used to be a US military barracks and has been turned into the fields for a cricket school. The waterfront area reminded us of New York's High Line. Modern industrial, old railroad tracks, which featured multiple storage containers opened and turned into a public piano space, bookshare and photography exhibit. Past the piers we found ourselves in Auckland's CBD (central business district) with standard office buildings atop Soho-esque shopping and boutiques. Making a loop back toward our host borough, Grey Lynn, there were tall condos surrounded by palm trees - are we in Florida? 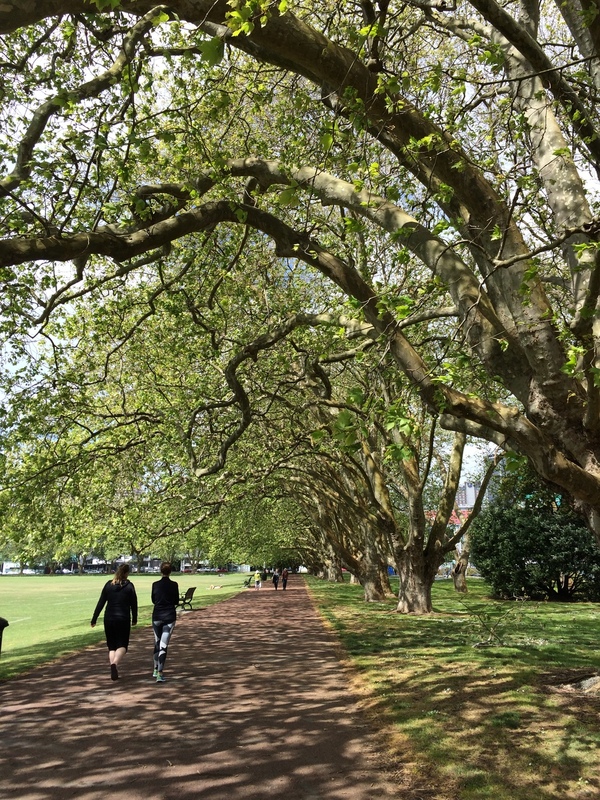 We made detours through a few parks in Auckland and there were a variety of great, old, interesting trees. 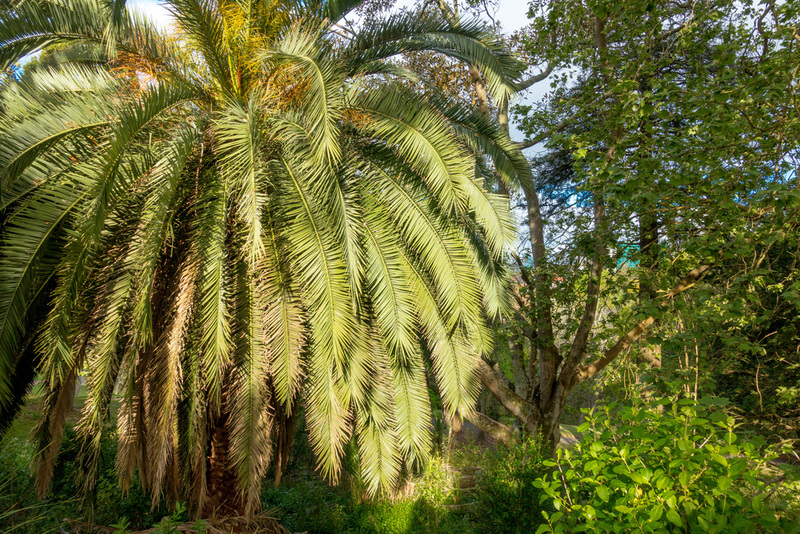 At one point, we wondered about familiar looking fruits were stepping on and found a sign identifying the trees flanking the park path as fig trees! Day 1 was also a great day for food. 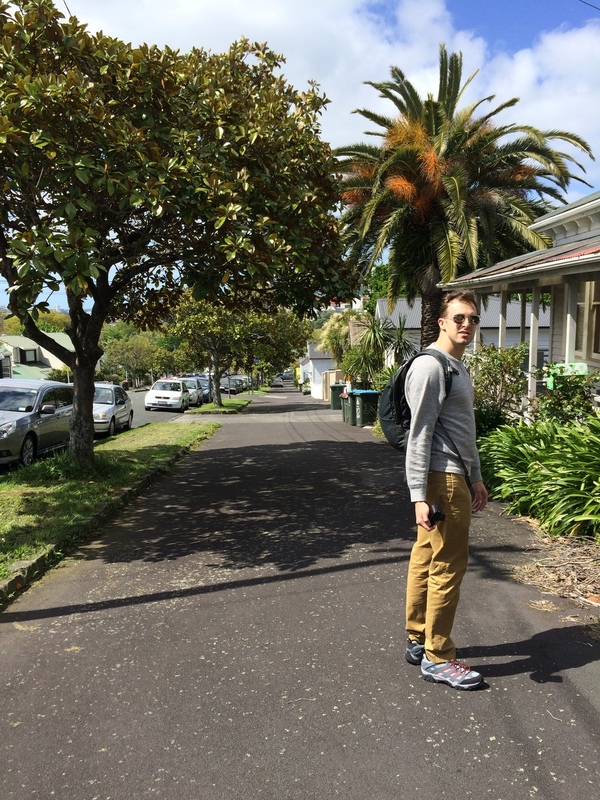 We hit Ponsonby Central, similar to an open-air Chelsea Market (NYC). We started with tacos: beetroot tortillas, filled with roasted cauliflower, hazelnuts, pumpkin, chickpeas and topped with pomegrante, cilantro, lime and chili sauce. 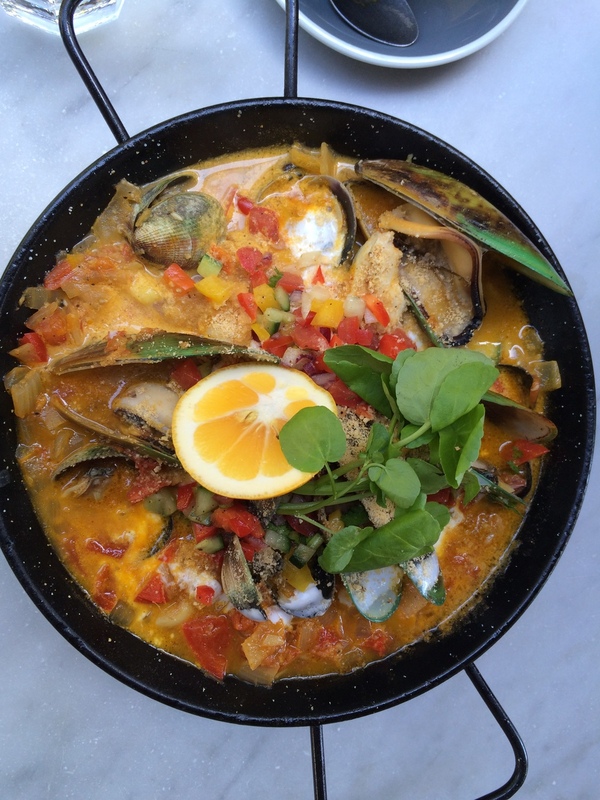 Followed by a "moqueca" fish stew with NZ's own green-lipped mussels. 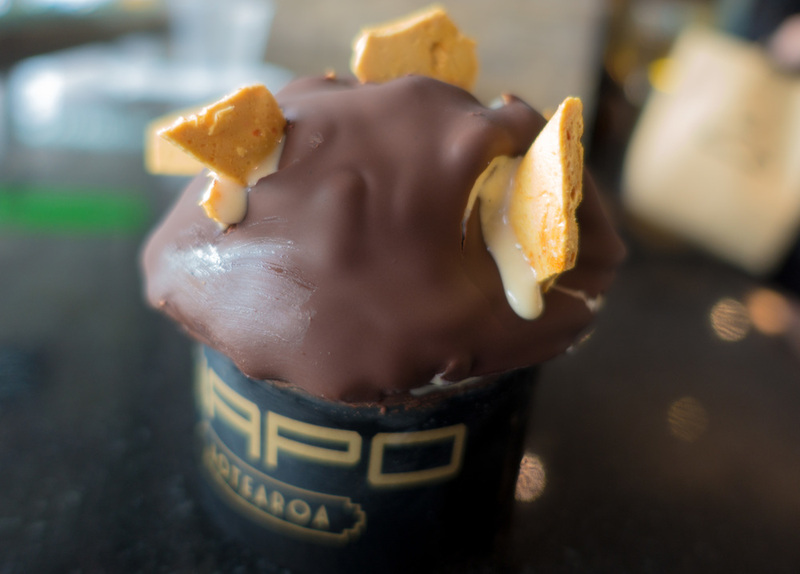 Later we had what may be the best ice cream I've ever had - Giapo. As you enter the store, they inform you that their philosophy is that you should choose a flavor based on how it tastes, not how it looks. While you can't see ice cream, we were encourage to sample 3-5 flavors based on your personal preferences and what other patrons enjoy ht emost. I ended up with Giapo Buono + Hokey Pokey ice cream topped with toasted meringue (I watched her torch the ice cream) and hazelnuts. Josh had Tiramisu + Hokey Pokey ice cream topped with dark chocolate and hokey pokey honeycomb pieces. 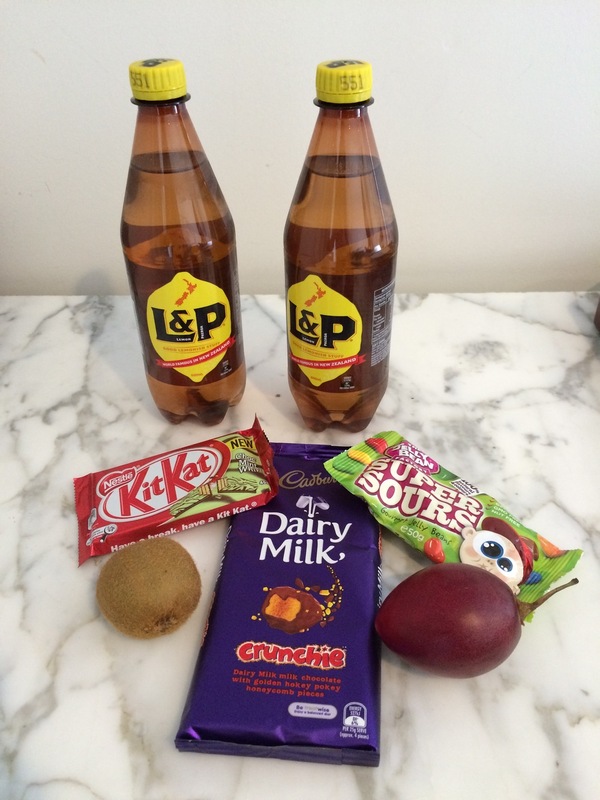 Finally, we enjoy some native(ish) New Zealand snacks.